This Purana has twenty-three thousand shlokas and these are divided into six sections. The last section is shorter than the rest. 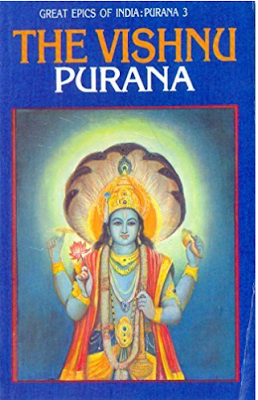 The Vishnu Purana is a medium sized Purana. As you must have read in my Shiva Purana review I have said that Vedavyasa has composed all the eighteen Mahapuranas. Well, when I read the Vishnu Purana I found that was not completely true. Vedavyasa had composed most of the Puranas except the Vishnu Purana. The Vishnu Purana was composed by Parashara, Vedavyasa’s father. Well I think this much introduction is enough. If you want a bit more information on what is a Purana read my first Purana review, the Shiva Purana Read its first and second paragraphs for information. Let us move on.